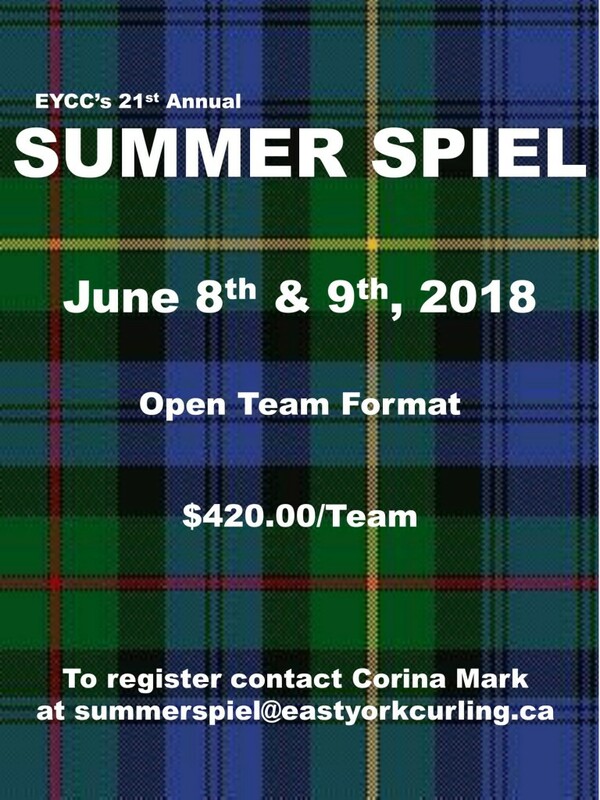 A fun bonspiel for all levels of play, tailored to beginners! 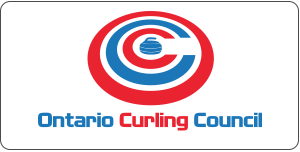 Two 6-end games, 1st draw at 9am, 2nd draw at 11am. Lunch included. Enter as an individual, pair or team. 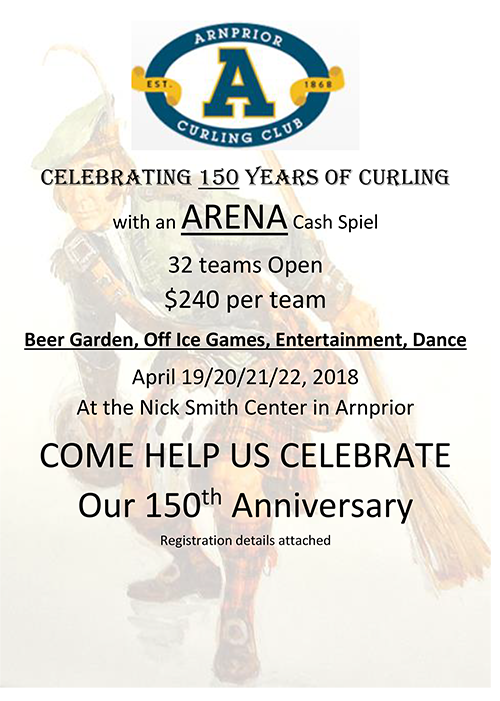 Each team MUST include a minimum of two players who have been curling for two years or less. 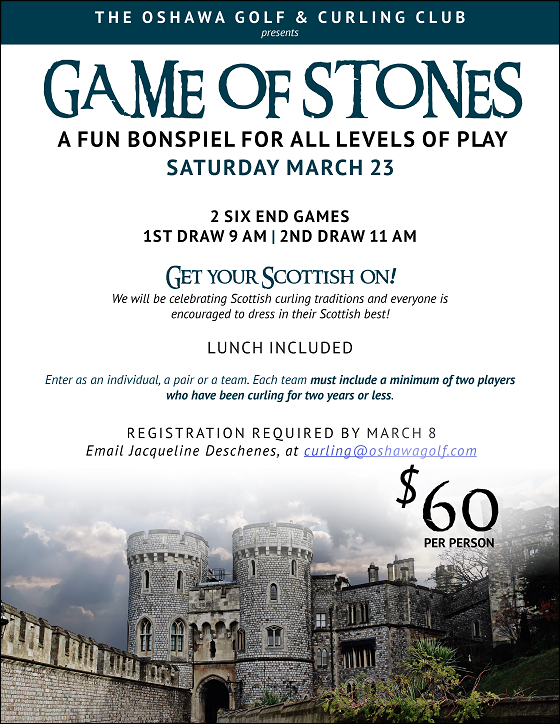 Get your Scottish on – everyone is encouraged to dress in your Scottish best! 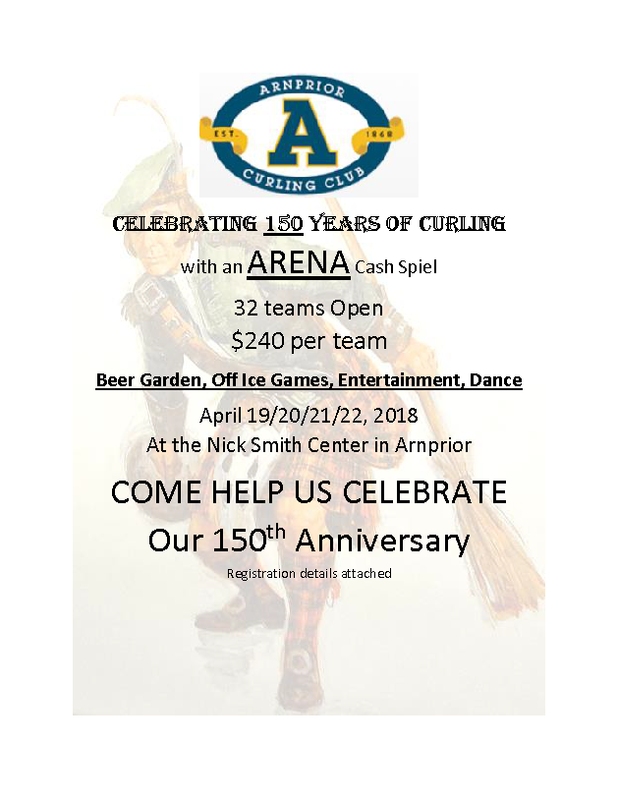 Registration required by March 8th – email [email protected] $60 per person.